1. Health-related posts are the most popular subject on my blog. 2. Pin it! Pinterest is my #1 traffic referrer. 3. I need a class on SEO. 4. People like honest reviews about Pinterest Pins. Reviews save readers time & money. 5. My home decorating posts were not popular. Nevertheless I'm posting my 2013 kitchen remodel shortly. 6. Few people are searching for spiritual encouragement. My Wednesday posts are always spiritual. 7. Folks love recipes for pretty food. 8. It is challenging to engage people and keep them coming back. 9. Extremely difficult to make any extra money blogging. 10. Social media is a must! Don't discriminate networks; join them all. 12. Consistency and knowing what your readers like are king! 13. More people than you might think don't like Elf on the Shelf including me! 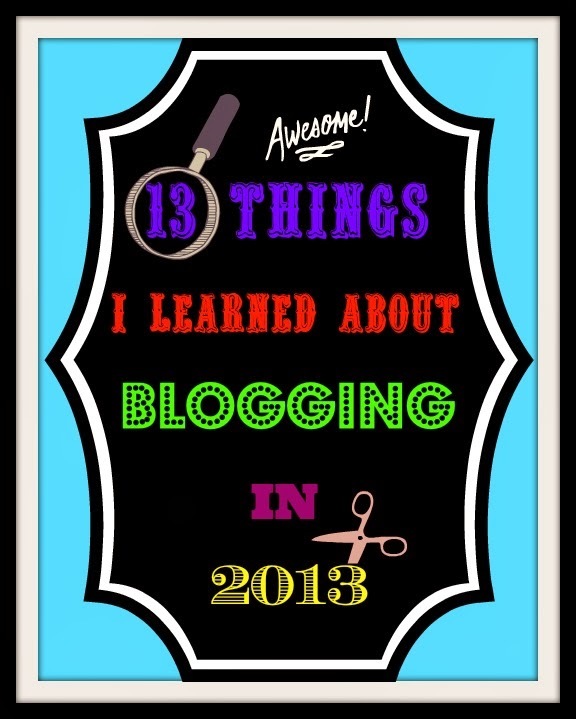 Leave me a comment with some things you can add to 13 Things I Learned about Blogging in 2013.